My pen collection doesn't focus on a specific brand or model of pen. To the extent my collection has a "focus," that focus has been on acquiring pens made from unique materials. Over the past few years, I've snapped up several Italian celluloid pens. The pen featured in today's review: the Stipula Etruria in "Alter Ego" celluloid, was my first. Most inks have worked well in the Etruria. 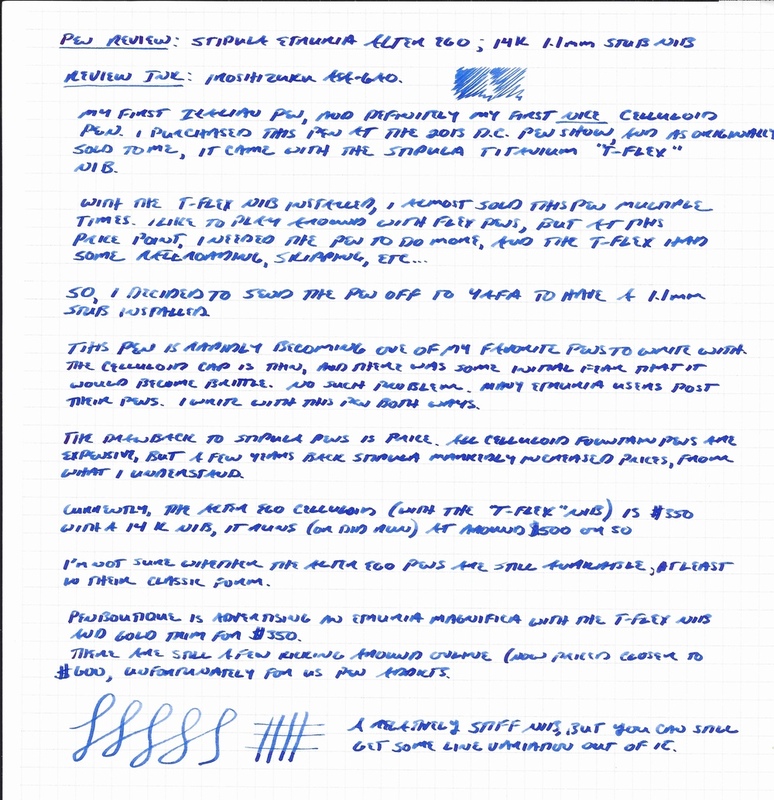 For this review, I used Iroshizuku Asa-Gao on Rhodia paper. The major Italian pen companies are Omas, Delta, Stipula, Aurora, and Montegrappa. I either own or have owned pens from all five, with the exception of Montegrappa. 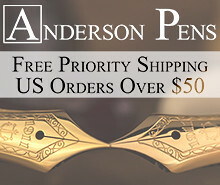 (Nothing against Montegrappa pens--for now most of them are out of my price range.) My favorite Italian pens are my Deltas and my Stipula, primarily because of the different celluloids those companies use. A note on celluloid: Celluloid is a highly flammable material made from a mixture of nitrocellulose (aka "guncotton") and camphor, which gives the material its distinctive smell. Originally intended as a replacement for ivory, celluloid has incredible depth of color when used to make fountain pens. Unfortunately, modern celluloid pens tend to be extremely expensive, because the material is time-consuming to make and requires years to cure before it can be turned into a pen. While the Etruria is large, I would not call it an oversized pen. The Etruria is a large, cigar-shaped pen, and serves as Stipula's flagship model. Stipula has offered the Etruria in various materials (primarily different celluloids), as well as in tweaked designs such as this gorgeous faceted model created as a special edition for Chatterly Luxuries. 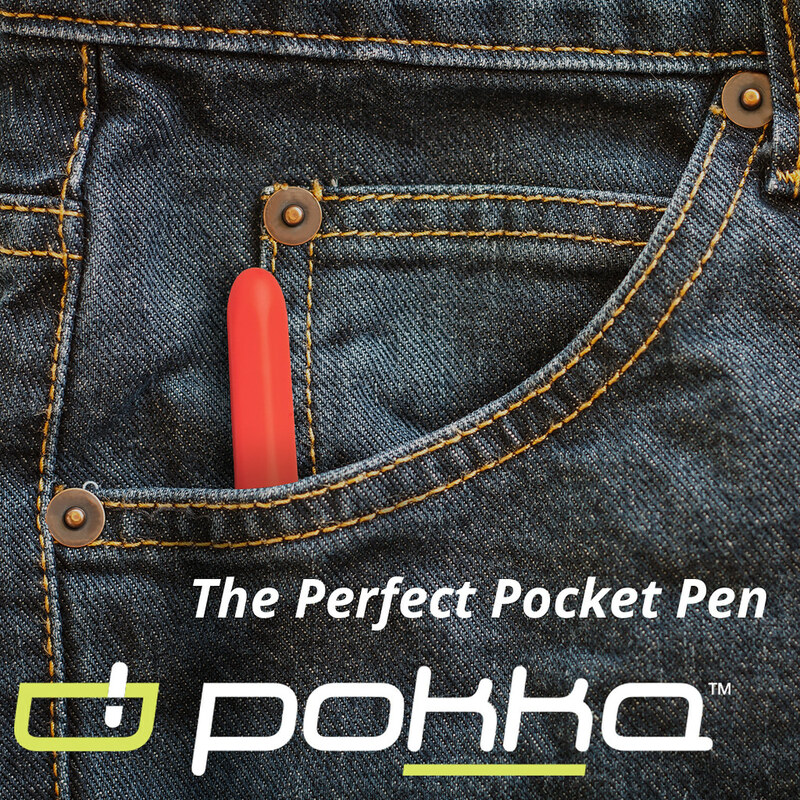 The pen is a high-capacity piston-filler. The piston mechanism is very tight, and the head of the piston spins along with the rod as the piston is depressed. Stipula advertises this piston as "self-cleaning," and I can attest that this pen appears to be somewhat easier to flush than most piston fillers, presumably because the spinning piston head brushes ink off the sides of the barrel as it turns. The piston also turns counter-clockwise, which is unique. The Etruria is a big pen, and has some heft. It does post, but many people may find it too top heavy since the piston mechanism already adds a lot of weight to the back end of the pen. To me, the weight/length is similar to a Pelikan M800 posted. My pen features sterling silver trim, which adds additional weight. The clip is engraved to resemble a reed, which the Romans used as pens (aka, a "Stipula"). I've thoroughly enjoyed the 14k, 1.1mm stub, but I originally purchased the pen with Stipula's titanium "T-flex" nib installed. While the "T-flex" is one of the "flexiest" modern nibs available, the flow was too heavy for me, and the pen didn't see much use until I had the nib replaced by sending the pen back to Yafa, the U.S. distributor for Stipula. It's been a couple years, but I recall that Yafa had to send the pen back to Italy so that the nib could be swapped out. Stipula's stock stub nib is a true stub--not a sharp italic--and has fast become one of my favorite writers. It's soft, with just the right amount of flow, and has good line variation. I had considered selling this pen due to my dissatisfaction with the T-flex nib, but I'm glad that I didn't. At the end of the day, the material is what does it for me with this pen. The Alter Ego celluloid is a brown/orange with black veins running throughout. From what I can tell, Stipula no longer sells the Etruria Alter Ego with the sterling trim, but PenBoutique has been advertising a new Etruria "Magnifica" in Alter Ego celluloid, with gold trim, as "coming soon." 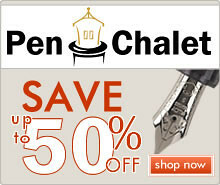 Unfortunately, Stipula's celluloid pens are not cheap. 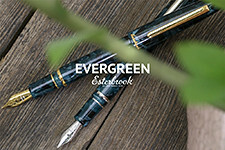 The Alter Ego pictured in this review now sells for close to $600, but that may be because this specific pen has been discontinued. 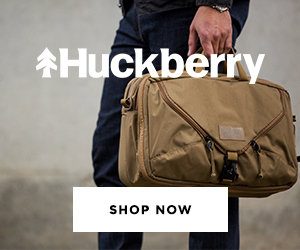 The new model looks like it will have a $450 MSRP but is on pre-sale at Pen Boutique for $360, which is, frankly, a good price for an Italian celluloid pen. 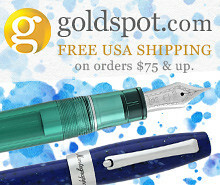 This price will increase if you opt for a gold nib as opposed to the titanium T-flex. If you like the Etruria form factor, Stipula offers the model in more accessible entries to the Etruria "Magnifica" line, which feature cartridge-converter filling systems and steel nibs. Stipula pens are generally well-made, and they are a good entry point into the higher-end Italian lines. 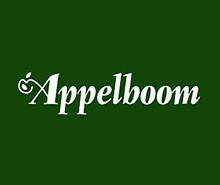 DISCLAIMER: While I purchased the pen featured in this review with my own funds, this post contains affiliate links, through which I may be compensated a small amount if you purchase a pen from any of the sites linked to in this article. 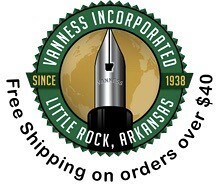 While I'd greatly appreciate it if you use these links to purchase a pen you are interested in, you are, of course, under no obligation to do so. Many thanks!